Having a personalized yard is like having your own little piece of paradise at home. Designing a new landscape can increase the property value as well as allow time spent outdoors to be more enjoyable. You should be able to design it in a way that pleases you, but like everything else, it will come with a price. 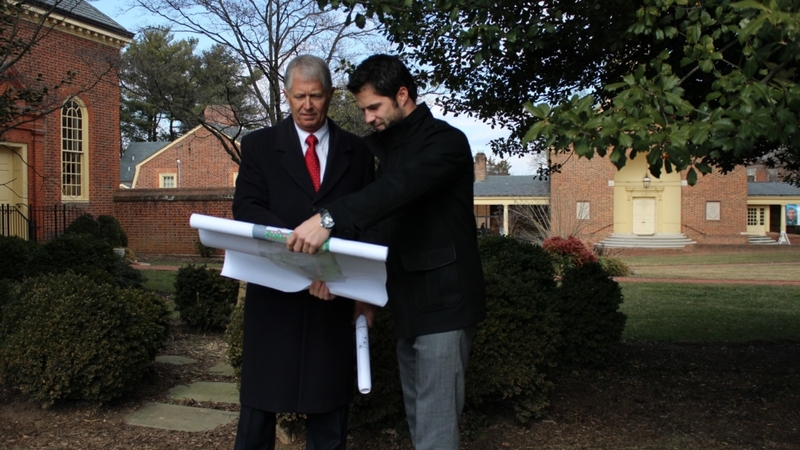 Having a budget in mind before contacting an experienced landscape design company, like Groff Landscape Design in Arlington, VA can really help you in the long run. Groff Landscape Design will assist you every step of the way, including their thorough assistance with your budget and finances, so the process will be a breeze. You never know what you may find in your yard when working on a landscape project. Search through your yard to find anything that could potentially make the project difficult, unsafe, damage your property, or lead to a financial loss that you will need to fix before even designing your new landscape. Groff Landscape Design has highly experienced landscapers who can pinpoint these issues and provide solutions while sticking to your budget. Solidify the overall purpose of your new yard with a list of features you would like to expand on. Do you plan to host cookouts or parties, plant a garden, or build a swing set? No matter what you want to utilize the space for, knowing this in advance will help you decide what amenities you will need to add to your budget. Having an efficient organization system will make a big project such as designing landscape run a lot smoother. Itemize all the costs for the project to make budgeting simple. Once you know your needs and wants along with the appropriate costs, you can begin creating a budget that closely aligns with your needs. Set a general budget and anticipate unexpected costs by having an additional portion of funds on the side. There are also various financing options available if you need more assistance funding your new landscape. After the costs are itemized and a budget is set, you should prioritize which aspects are more of a necessity than desire. Decide what is most important and worth spending more money on. Keep in mind the features low on the priority list and what can possibly be deducted to help you save more. In some cases, homeowners may not be able to build everything they wanted due to a limit on their finances. Don’t worry because there is always another way you can still create your dream landscape! Certain materials can be substituted or reused. A landscaping project can also be split into multiple phases or completed off-season. There are also many more options to allow you to save more money if you talk to a professional like Groff Landscape Design about their landscape design services and flexible financing options. Everyone deserves a beautiful yard to enjoy with friends and family all year long. Groff Landscape Design is an Arlington, VA landscape design company that offers financing services including a budget calculator and flexible financing options though Wells Fargo, so your landscaping budget will suit your needs. Contact us at (703) 999-8225 to discuss creating a new landscape for you! We look forward to helping you create a landscape that’s fully-functional and ultimately pleasing.